We have really been moving along with our renovations. One may almost assume I will soon not have anything more to write about regarding renovation. Perish the thought. If a boat is a hole in the water you pour money into, a house is a hole in the ground where you simply burn your money. Something always needs fixing or repair. One thing I really like about old houses is they have lots of, well, old things about them. I like history. And I have some degree of reverence for and about anything which has been around longer than me. So it came with some sadness, to put is mildly, when I finally had to admit the original windows in our house just were not worth saving. The many years of neglect paid to the windows before we purchased the house just could not be undone. So out with the old and in with the new. The old window still in the wall after external plaster was removed. 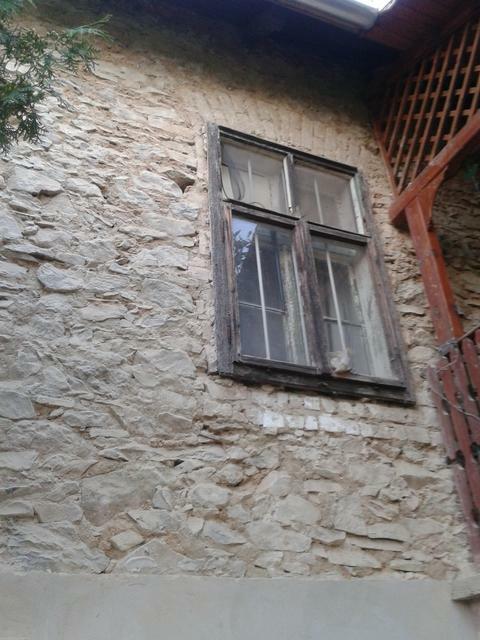 This photo also shows, under the wall plaster, we really do have a stone house. 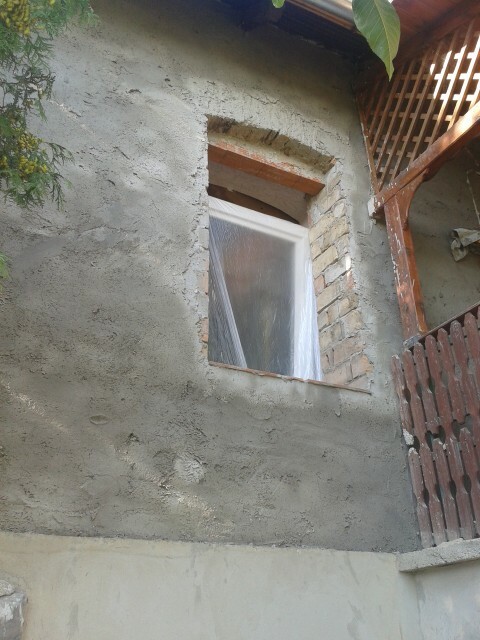 The old window was removed, and a new brick frame was built to fit the new window. The first undercoat plaster layer has also been applied to the wall. 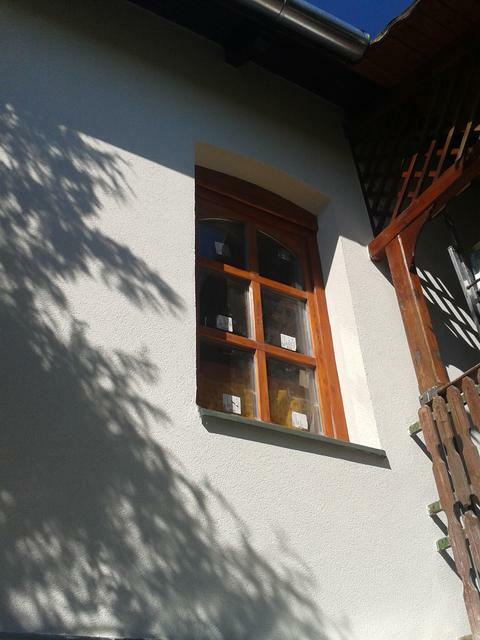 The new window as installed with final plaster applied to the walls. 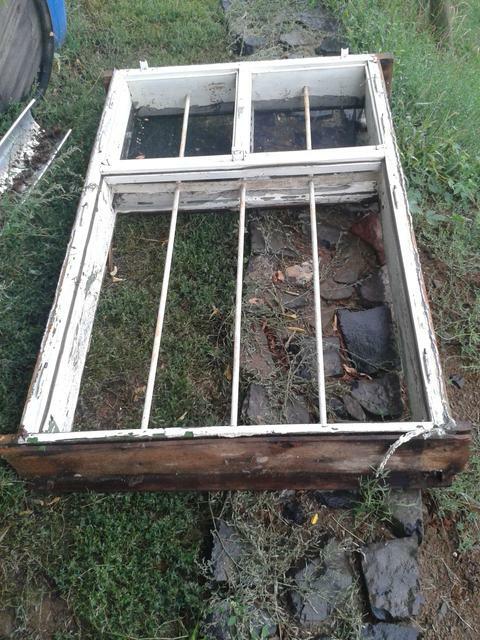 The old window after removal. I have to admit, I will not miss the prison bar look. For what it is worth: the above photo-reportage steps, in real time, took three months to complete. Hopefully we won’t have to deal with this again for at least 30 years. That’s sad but if it’s gotta go, it’s gotta go! I’m going through the fun of apartment hunting in Budapest right now! I turned up right when the students did too :). Apartment hunting is always tedious, but even worse when everyone else is doing it at the same time. But once you get settled I think you will really enjoy all that Budapest has to offer.